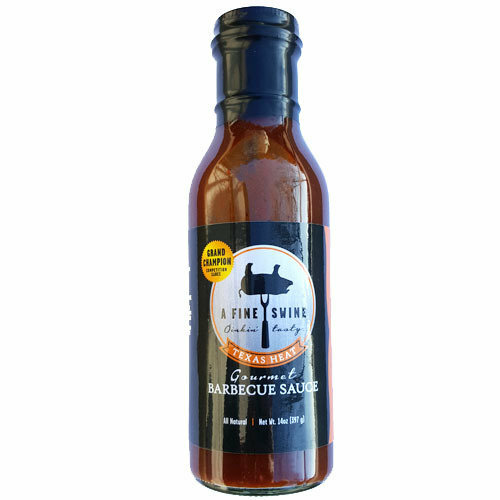 A Fine Swine Texas Heat Barbecue Sauce was developed to please even the pickiest of judges on the competition circuit. Handcrafted in small batches, this all-natural sauce will grab your taste buds and leave you wanting more. Texas Heat has the perfect amount of heat but does not linger!